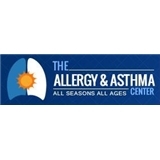 The Allergy & Asthma Center, LLC (Lawrenceville) - Book Appointment Online! The Allergy & Asthma Center was stablished in 1986. Our practice serves the metro Atlanta area with state of the art allergy and asthma care with three convenient locations: Atlanta, Lawrenceville, and Conyers. We care for the allergy and asthma patient of all ages, from infancy to adulthood. Our philosophy is foremost patient centered and we strive to make the individual an integral part of the healing process. During the course of your or your child’s evaluation, board certified allergists will handle every aspect of your care. Our physicians are board certified in allergy, asthma, and immunology, and have decades of experience treating the most challenging allergic medical conditions including allergic rhinitis, asthma, insect allergy, food allergy, sinusitis, eczema, hives, and other allergic diseases. She was Great! Dr. Crocker made sure to listen and give accurate info. Excellent, very informative very pleasure experience. Staff is excellent. Dr. Langley is a very welcomed doctor and resourceful. Dr. Stahlman was awesome and knowledgeable.